My first Tuesday meme! Hooray! The wonders spring break does to my blog. 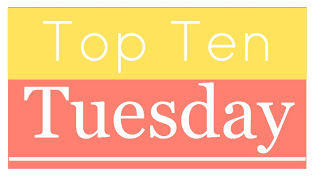 This week I am participating in The Broke and The Bookish’s Top Ten Tuesday meme. This weeks Top Ten is: Top Ten Characters I Would Crush On If I Were Also A Fictional Character! Ow! This is going to be hard because I’m going to have to admit this not just to myself but to the rest of the world as well but nonetheless, here I go. Yes, I admit it. He is one bad boy I would totally have a crush on if I were a fictional character. Even though I shipped Dimitri and Rose in VA I still felt bad for Adrian. The Bloodlines series gave me a new perspective on Adrian that made me fall in love with him like Sydney did. I’m a Hale girl all the way. My question is, how can you not be a Hale girl? Go and read the Heist Society series if you don’t know what I’m talking about. Who doesn’t want a nice, rich, good looking guy? Come on now ladies, do I really have to go into detail as to why I would have a crush on Four if I were in the Divergent World? Four sacrificed himself for Tris and stayed Dauntless just for her. That deserves some credit don’t you think? St. Clair. Even though he has some baggage I would still fall for him just like Anna did and well the other girl that fell for him in the story as well. What’s her name? I can’t remember but my point is I wouldn’t be the only fictional character falling for him. Surprised to see this right? Eddie is faithful, protective, kind, chivalrous, and has a playful side. Need I say more? I am very glad we got to see more of him in the Bloodlines Series as he was a back-burner character in the Vampire Academy Series. I really don’t want to reveal much about Josh so I suggest you go read the book and figure it out yourself. In my honest opinion, Getting Over Garrett Delaney is a YA contemporary book everyone should read. Ah. Jacob. A musician that helps you forget about your problems and tries to understand you even though he has no idea what the heck you’re going through. I always like a man that can be sympathetic. Who doesn’t? Ladies. Do I have to explain myself again? Cricket is adorable, kind, and he will just about do almost everything for Lola. The only bad thing was when he left without saying goodbye, but after we figure out why we can forgive him. I want my own Cricket. I just love nerdy boys. So, those are my Top Ten Characters I would crush on if I was a fictional character. But who are we kidding, we already have a crush on them anyways! Please leave a comment and tell me what characters you would crush on if you were a fictional character. I really want to know what you guys are thinking.